Frances Lenora Rogers, 68, of Bellevue, Michigan, passed away Sunday, January 27, 2019 at Wings Home in Allegan under Hospice care. She was born November 6, 1950 to Clarence and Audrey (Patton) Noel in Battle Creek, Michigan. Frances graduated from Olivet High School with the Class of 1971. She married Leon John Rogers on April 28, 1973 in Battle Creek. 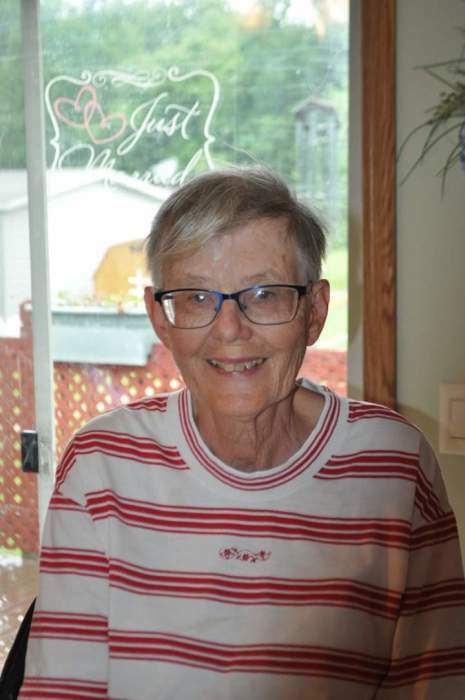 Frances worked as a crossing guard and playground aid for Bellevue Community Schools from 1988 until 2018. She loved all animals especially her dog Wonky. Frances was an avid reader and enjoyed knitting and crocheting. She enjoyed collecting ceramic cow memorabilia. She also enjoyed gardening, canning, and taking long walks. Frances had a devoted faith in the Lord. She is preceded in death by her parents and siblings – Clarence Noel, Jr. and Kim Sheley. Frances is survived by her husband – Leon Rogers of Bellevue, Michigan, children – Laura (Adam) Rench of Kalamazoo and Carol (Mike) Aleman of Kalamazoo, five grandchildren – Autumn and Noelle Rench, Benjamin and Brielyn Webb, and Alivia Aleman, and two sisters – Deborah (Gary) Myers of South Haven and Susan (Lexi) Halitsky of Parma, Ohio. Graveside services will be held at 1:00 PM on Monday, February 4, 2019 at the Fort Custer National Cemetery in Augusta, Michigan with Pastor Travis Wilson officiating. Contributions may be made in Frances’ memory to the Wings Home in Allegan, 530 Linn Street, Allegan, Michigan 49010.